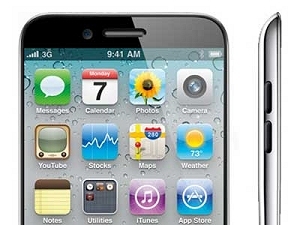 AT&T possibly preparing for a September iPhone launch? The perpetual motion rumor mill surrounding Apple is in full force as we move closer to their annual fall iPod media event. Cupertino shuffled their cards a bit back in June when they didn’t announce the next-generation iPhone at the WWDC 2011. This was in stark contrast to the previous three years where Apple had introduced the iPhone 3G, iPhone 3GS and iPhone 4, respectively. Apple aficionado BGR reports that both Apple and AT&T are recruiting additional sales help for a fall iPhone launch. The hiring of additional seasonal help isn’t uncommon as back-to-school sales bring in a lot of foot traffic near the end of summer, but those sales are generally wrapped up before September. Moving the iPhone announcement / launch to September could pave the way for an exit of the declining iPod line, the device that many consider is responsible for their overwhelming success today. Apple has remained tight-lipped about the iPhone refresh that was MIA last month but some rumors have suggested a possible overheating issue with their A5 chip. Other gossip suggests the staggered announcement is a strategic move used to buy time for 4G LTE development and integration. Details on the next-gen iPhone are bleak at this point but the prevalent rumors point to faster internal hardware, a thinner chassis and possibly a larger "edge-to-edge" display. Still others believe that the next iPhone will feature a radical new design with a contured rear panel.